Главная | Новости | Meet English Club TV in the Philippines! Meet English Club TV in the Philippines! English Club TV has announced its launch on 14 local TV platforms in 12 provinces of the Philippines including Cotabato Cable TV Network Corp. (Maguindanao), Palompon Cable TV Network Inc. (Leyte), Zenergy Cable TV (Agusan del Norte), Kalibo Cable TV Network Inc. (Aklan), Marbel Cable (South Cotabato), Marbel Services and Television System Inc. (South Cotabato), Blackstone Cable TV Corp. (Sarangani), Sattlink Cable TV and Broadband (Pampanga), Trinity Cable TV (Davao Oriental), Morning Star Cable TV (Surigao del Sur), Bislig City Cable TV (Surigao del Sur), News Multi-Purpose Cooperative (Surigao del Norte), Zsacico Cable TV (Zamboanga del Sur), Banahaw Utilities Corp. (Quezon). “The Philippines is a unique bilingual country where English is one of two official languages and widely used in the education field as well as print and broadcast media and business. English plays an important role in the socio-economic development of the country; thanks to increasing distribution of the English language, the Philippines became one of top countries for outsourcing business as well as one of the most attractive destinations for tourists from English-speaking countries. For example, over the last 10 years the number of foreign tourists visiting the country more than doubled reaching an all-time high of 6.6 million in 2017; during the last year the number of tourist arrivals grew by about 11% and bested the respective tourism growth in Asia-Pacific region which is only 6%. Thus high English language proficiency is essential to support the country’s further economic growth. 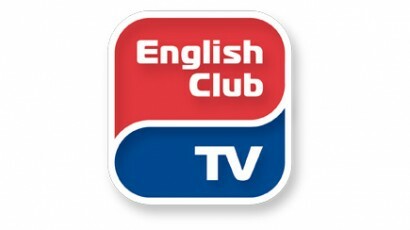 The English Club TV Group is a group of production, education and distribution companies that operates worldwide in the field of English language teaching under the brands of ENGLISH CLUB TV and ECTV.